As much as I would love to impress you with my firm grip of Scriptural concepts and ease in understanding the Hebrew language, I can not. Oh, I have “lightbulb moments” to share occasionally, but for the most part, my time in this blog is about sharing that which I do not know. The things that illustrate the frustrations that can come with wearing this coat of flesh. The things that make me human, and you human, too. The things that let you, the reader, know that you are not alone when your own walk becomes a crawl. I learn very little from those who proclaim to have it all together spiritually, how about you? Great wisdom and great understanding come at a great price, wouldn’t you agree? Even peace can be elusive, often not found until the end of many, many tears and many dark lonely nights. Perhaps I learn things the hard way because I’m hard-headed. But what if? What if God allows me to learn the hard way so that what I do learn becomes a part of my very being? It has been the things I’ve struggled for in my life that are the most precious to me. The things that came easily, I find, left just as easily. Today I present to you that wrestling for something has its place in the life of a believer. Let’s take a look together, and see if my theory holds weight. For ten years, I was able to blame my struggles on some other entity. The writings commonly called the new testament told me I wasn’t wrestling against flesh and blood, but…(blah blah blah, you know the rest). It was easy for me to believe that I was under attack by some force that (they claimed) had enough power to usurp God’s authority and will in my life. A force that had the ability to “devour me”. Oh, let’s just go ahead and use the name they offered me in those writings! That ole devil! Everywhere I turned, I imagined him lurking. Waiting. Ready to deceive me and lead me away from God. If the day was horrible, I blamed him. If I gave into my temptation, I blamed him. I chuckle now when I think of the times I walked through my house “banishing” him. Oh, the hours I spent in “spiritual warfare” against that devil! Surely, I thought, he had a hold of my kids. And I most certainly believed his goal was to ruin my life. I fought him day and night, always feeling like I was just short of the victory. And always afraid of his prowess. It wasn’t until I walked away from those doctrines that I realized my struggle, in most cases, WAS against flesh and blood…my own! I wanted things “my way” but was proclaiming to be walking in “God’s Way”. In a few instances, the flesh and blood I was struggling with belonged to another person, whose intentions toward me were less than righteous. But mostly, friends, it was my own flesh who wanted to “devour” that which was good in me, and selfishly feed itself. I was, and continue to be, my own worst enemy. It was when I realized that I was responsible for my own sin and for having it atoned through my own repentance that I took a fresh look at Jacob’s wrestling match through this new lens. My old lenses had me take note that Jacob demanded a blessing from God, and got it. Period. I’d seen many “sermons” about doing the same thing. Name it and claim it! Have a “life verse”! Believe it and receive it! Oh, boy…pretty presumptuous of me, wasn’t it, to think I got to select which Scriptural example would be the will of God for my life? I noticed some brand new things about Jacob’s wrestling match through this new lens! The first thing that stood out was that Jacob was not wrestling evil or the devil, but an angel. An opponent surely assigned to the match by his Creator. The second thing I noticed was that this Heavenly being left Jacob with a limp for the rest of his life. I walk with a limp, too. It’s very painful! Yes, Jacob’s name was changed to Israel and we are still studying him thousands of years later, but I had never noticed until recently that it had cost him. Maybe he had trouble walking to his mailbox and back like I do. Maybe it took him hours to find a position in which to comfortably sleep, like me. Maybe he cried out to The Father to heal his limp, I have! Those details are left out of his story, but the blessing he sought certainly came to pass! At a cost. My first series of struggles while wearing these new lenses had me taking a new look at Job’s wrestling match, as well. It seemed to me he was the one in Scripture that had the most prolific struggles. They just kept coming at him! Job’s story is one of the few instances, in fact, where we see a spiritual adversary in the Tanakh. Holding Job’s ordeal up to this new lens showed me some different facets about his adversary, who many have claimed was the devil. Job’s adversary seemed to like provoking God by accusing His followers of this and of that. I used to think it was the devil, too, about to devour. But I was wrong. It was a being quite obviously under God’s authority. He was bound within the limits God set. He was never a threat to Job on his own, he first required permission. And God gave it, which could be a whole other post, in itself. Even though Job’s story left him doubly compensated for his losses, I don’t believe for a moment that he wasn’t left with a limp for the rest of his days. It may have been in spirit, but those limps are just as painful as the physical ones, wouldn’t you say? 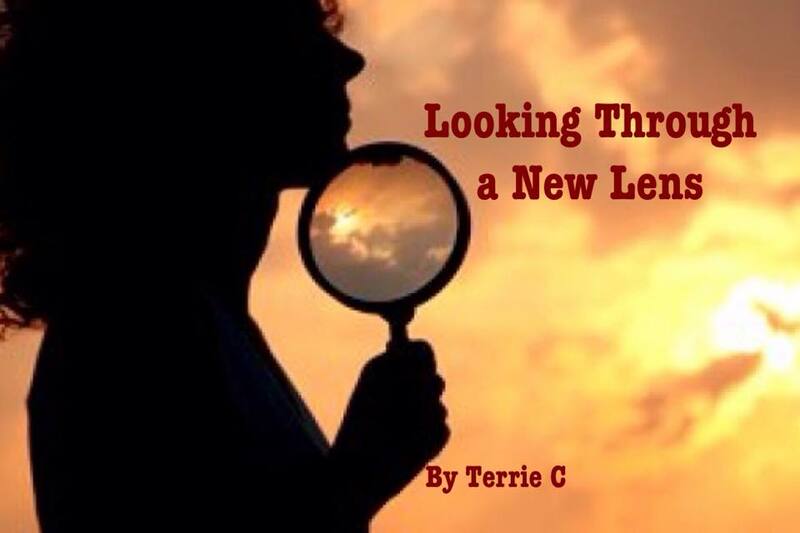 It was his story, though, that a brought new light to a Scripture I’d read many years ago, but didn’t pay much attention to when I wore a different lens. Finally, the concept behind the words took root in my understanding. There it is. In black and white. There isn’t an opponent able to stand against God. All spiritual beings act at His behest. Good and bad from the unseen realm will have an influence on the seen, but only with a nod from God first. When we see accounts of angels or invisible adversaries in Scripture, something HUGE is going on. Something that pertains to God’s plan. Not every person we read about had “Jacob” or “Job” experiences, though. A few more did, but most of our Scriptural reference specimens were, indeed, fighting flesh and blood. Their own flesh, or another’s. They fought their own flesh to prevail over pride and self-serving tendencies, like you and I do because we love God. Mankind was given free will to do right or to do wrong. We choose blessings or curses, life or death. To know that the choice is ours tells us that we are each capable of acting on either end of the spectrum. Right, wrong, blessing, curse, life, death. Here’s the thing. The “bad guys” we might face in our lives have that free will, too. Even if it means they choose the opposite of everything we have chosen. Just as we will have an effect on others with our choice to do good, so does their choice to do harm have an effect. For me, knowing this has helped me understand a little better why bad things happen to good people, even to a child of our El Shaddai (God Almighty). Without the consequence of harm being inflicted, or good coming to pass, would free will mean anything at all? And so, yes, I wrestle. Mostly with myself. Even when it is someone else who caused me pain, by exercising their own free will in an unfavorable manner against me, the wrestling match is still my own. In finding forgiveness, in not being angry that God allowed such travesty in my life, in finding the wisdom in the worst of circumstances that befall me. I wrestle with myself knowing that the only thing that holds me back from having a deeper walk with God is my own lack of discipline. I wrestle with self-pity, sprinkled with a little self-doubt and self-loathing for knowing I am not living up to our Scriptural examples of Godly women. But in my wrestling, I learn to cry out. I learn to be humbled. I learn that sometimes that which I fear the most must come upon me so I can learn to face it. Better yet, to conquer it. Even when I am wrestling with my own grief, there is much for me to learn about the value I place on people, and their proper place in my life. Most of all I am learning that the wrestling itself is a good thing. It brings me to where I most need to be, on my knees. Wrestling has been the arena in which my eyes are opened to certain truths about myself and others. Wrestling has taught me to pray in the ways where words won’t suffice. Wrestling shows me how wisdom and understanding can be costly. At the end of the match, it is my Creator, Himself, there with a towel for my sweat and tears. It is Him who offers the cool water with which I can refresh myself. It is Him who provides a stool, that I might rest and catch my breath. Finally, as I leave the arena, I can almost feel His love around me like a strong arm, as He whispers to me that even my limp can be a blessed thing.